Cast Iron Spear "Texas Star". 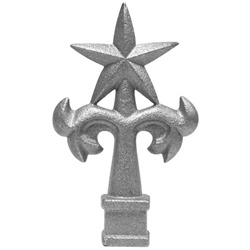 Cast Iron Spear "Texas Star". Fits 1/2" Square.